Take 10% off on this Veterans day with code ThankYou. Don’t forget to thank a veteran you know, for their service to our country! We’d also like to take this time, to remind our customers that we offer a military discount. 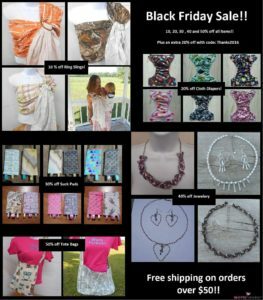 “Arrow” print ring sling SALE! All “Arrow” print ring slings are on sale until the end of January!